CNN host Piers Morgan can now claim that he’s done something that few others have been able to do – he got into the ring against Manny Pacquiao and walked out without a scratch. Regrettably, Pacquiao’s trainer Freddie Roach wasn’t as fortunate. While warming up and psyching himself up to go one-on-one versus the No. 1 pound-for-pound fighter in the world, Morgan worked on his jabs with Roach. As you might expect, though, Morgan’s accuracy wasn’t all there and hilarity quickly ensued. After he accidentally popped Roach, Morgan spent the next few minutes apologizing – perhaps remembering what happened the last time a respected trainer got hit with an unfortunate punch. Video of the shenanigans below. 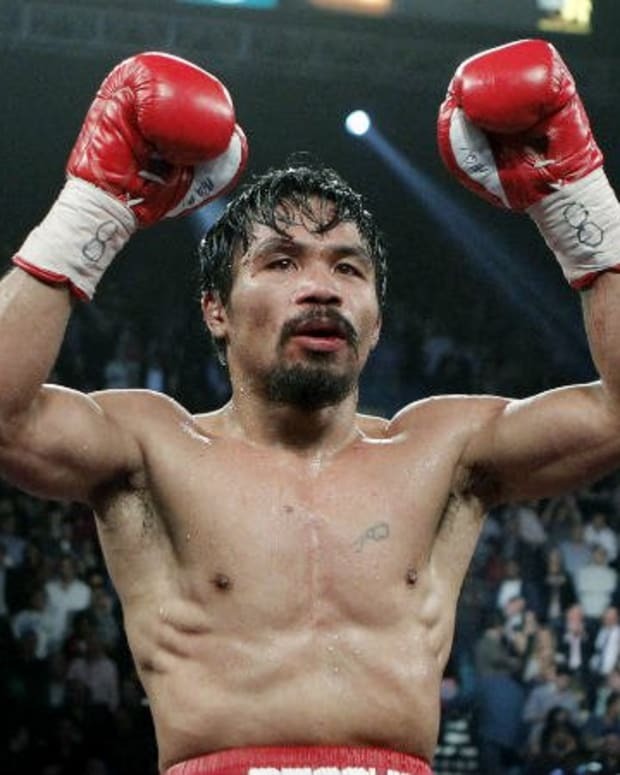 Where Will Manny Pacquiao vs. Juan Manuel Marquez Rank Among Boxing Trilogies?